Unleashing a dream like world of empathic beauty, melancholy, and angst on us Ed Powley has created a highly inspiring and unique sound from merging the often divided worlds of electronic music and postrock. 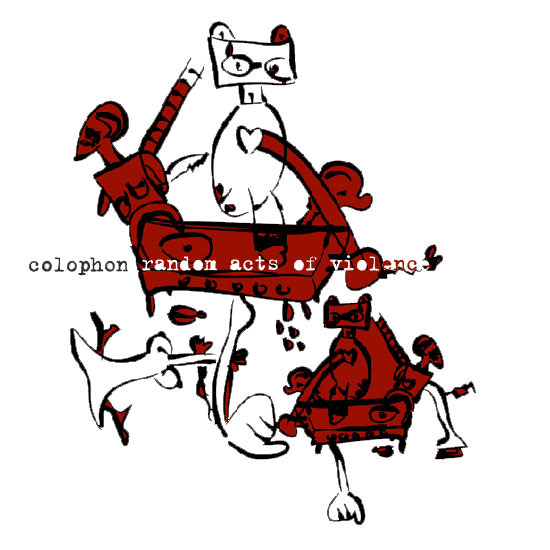 Through great control of melody, mood, and instrumentation, Colophon sounds out like he means it. A soundtrack to daily life, love sick blues, or an attempt to understand what’s going on in the world.. whatever the underlying energy, it isn’t easily ignored. Almost deserving poetry rather than description, the sensibility and emotion thats intricately woven throughout this entire release makes one want to get out and conquer life, at least for the day.